Those following my Cube i9 posts and YouTube videos would have seen that I bricked the tablet. But now I ‘m back up and running, more about that here and the Cube i9 bios recovery flash method write up is here. Just before I bricked it, I did a cheap and relatively easy heat sink mod. It’s very basic, but has a huge impact on overall thermals. 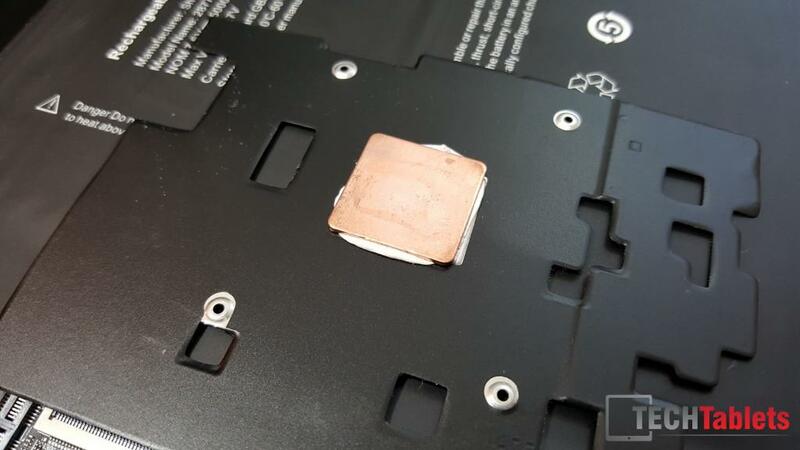 Why Cube or any of the Chinese manufacturers don’t do this is quite baffling or just use a copper heat sink like Dell does on their Core M tablets? It has to be down to cost savings. This is just an extra I’ve done on my Cube i9. I will not effect the review on the site. The review, like all the reviews here will be based on the unmodified tablet as is from the factory. WARNING: This is a modification, please only do this mod if you are capable and have experience. This is just a guide, I’m not an expert or responsible if you mess it up and kill the tablet, cause premature component failure, burn your house down etc. What it consists of is a 20mm x 20mm copper shim that’s 1mm thick, you then use some thermal adhesive paste to secure it in the middle of the aluminum stock heatsink (where the CPU die would touch the stock heat sink) And since it’s only a small copper plate (You can find them on ebay) it shouldn’t be near anything that would cause any shorts. 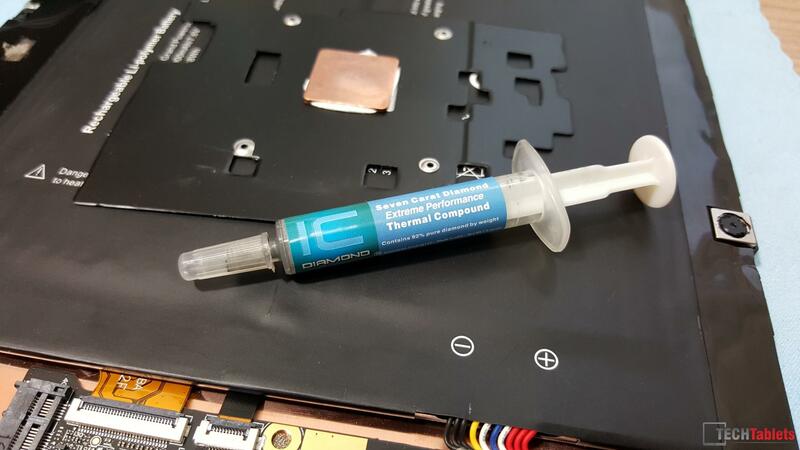 Then you can either use more thermal adhesive or better in case you need to remove it I opted to use some thermal paste for contact between the CPU and copper shim. I used IC Diamond 7, but any brand name thermal compound would be just fine. No need to use the super good stuff since its not a desktop i7 6770k, just a little low power Core M. Make sure you screw the heatsink back in place starting from one corner to the opposite to give even pressure on the thermal paste and so it spreads evenly. I went overboard on my first go, just use a small rice size or spread it super thin, whatever method you prefer to apply thermal paste. Now you can replace the thermal pad on the top of the stock heat sink or leave it as is. I replaced it using one with the same dimensions with a better quality pad. 1mm in thickness is all that’s required. You can add more thermal pads to the top of the factory heat sink to help transfer even more heat to the rear alloy casing. It’s up to you. This mod should lower your Core M3-6Y30 temperatures a good 20 degrees when under sustained full load. Of course, if you’re into doing things properly, you could fabricate a new whole heat sink based on the stock design but made out of copper. Make sure you use some heat resistant insulator tape or plastic under it however, as you don’t want to short out anything under that heat sink! Power limits, increase them to push the Core M3 even harder. Due to the limited thermal dissipation the aluminum stock heat sink has, Cube opted to lower the power limits of the package in order to help cap the heat output (Also it might help increased battery?) The Microsoft Surface Pro 4 using the same chipset has a slightly higher power limit of around 9W and much better thermals and design of course. 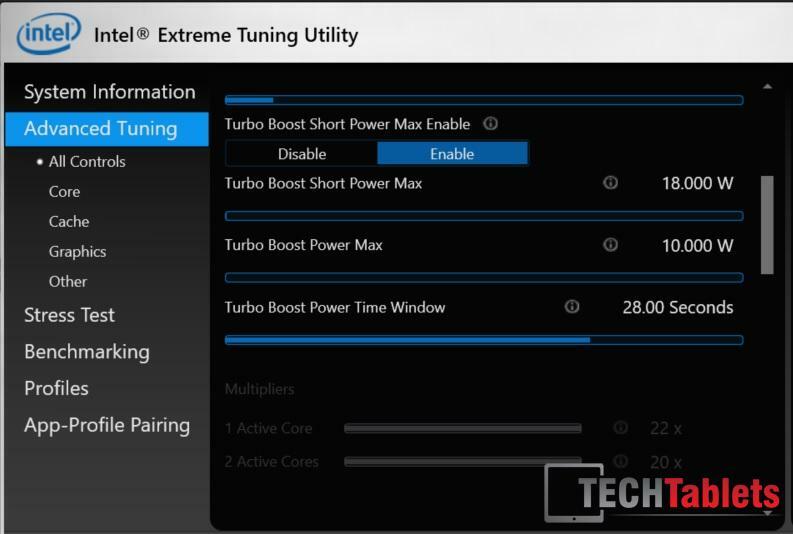 So Cube used 7W Turbo Boost Power Max Setting. And if you have done the heat sink mod, now you can do this if you want to match and even better the Surface Pro 4 M3’s performance. Another warning! Only increase the Power Limits if you have the copper thermal mod. Otherwise, you’ll just hit thermal throttling, gain nothing and even possibly go over the 88 degrees I encountered on the stock cooling set up. Plus you could even cause the system to shut off to prevent overheating. Just move the Turbo Boost Power Max setting up to say 10W and also increase the Turbo Short Power Max. I tried some crazy high numbers, nothing happened, according to HWInfo it didn’t go over about 12W in total the peak. The result of increasing the Turbo Power Boost Limits, is it allows the total package CPU+GPU and everything to consume more power, turbo a little higher and most of the benefit goes to the GPU which now consumes a good 2 watts max more. In a real game like Battlefield 4 and not a benchmark, it almost doubled the frame rates and made it playable. The same would go for 3D applications like AutoCad and Cinebench mark etc. Graphics gets a nice 30% bump! Some scores are up over 50%! Now your mileage will vary, some chipsets might get slightly more, difference graphics drivers etc, so don’t expect to get these scores on your own i9 or you could get even higher than mine. In theroy this method should work on other Core M3 tablets like the Teclast X3 Pro, Voyo Vbook V3 Ultimate, and future units. Anyone ever did that mod and can help me?? You placed 20 x 20 x 1 mm thermal pad on the top side. Good, but what if I also place a thermal pad on the bottom side (along with the copper shim) like Scott did? Instead you used a thermal adhesive there. Which is better? It would work, but I wouldn’t use anything larger than 0.5mm in the inner/bottom side. I’m not sure if that’s better as I only did it my way here in the video. And the results were more than acceptable. Did a copper shim mod today(actually put 5 in total ;)) and after changing power limits I get no bump in performance whatsoever. Tested before and after and got the exact same fps in fraps. Any ideas? Plug in the power cable and check if it improves. If it does (And should if I’m correct) You might have to fiddle with the power settings. Make sure the Intel GFX has any power saving features disabled. Out of interest where else did you add copper shims? The RAM too? Oh, didn’t think of testing while plugged into the mains. Maybe it does need all the juice to actually be able to boost. Will give it a go today and see whether I can figure this out. I put 4 copper shims on the back of the CPU plate via self adhesive thermal tape. Thought that this might help to spread the heat a little bit better. Yeah, played with all that some more and I did not get any results. Maybe I’m expecting too much? I basically played Legend Of Grimrock at high settings which got me around 35-37fps on the stock settings. After changing power limits to 10W and 18W no boost is visible – the game still hovers around 35-37 fps. Tested while plugged into mains with 515 set to performance and all power saving options turned off. What are your temps? 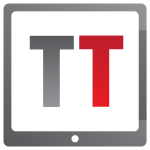 Maybe it’s throttling, look in intel XTU. As mentioned in the article results would vary. But no gain seems odd. Sorry Chris, could not reply directly to your latest comment. Well looking at XTU it does indeed hit throttling every once in a while during stres tests. temp seems to go up to 80 degrees which I understand to be quite a big number considering copper shim mod? maybe I’ve done it incorrectly. Maybe shouldn’t have put 4 shims on the top of the plate but rather just one in the center or leave just the thermal pad on there. Probably won’t bother ‘fixing’ this as I’m still quite pleased with the performance of the tablet. Anyway, I still think I get no boost in performance as when I play the games I don’t really hit throttling and as far as I can tell results are identical. 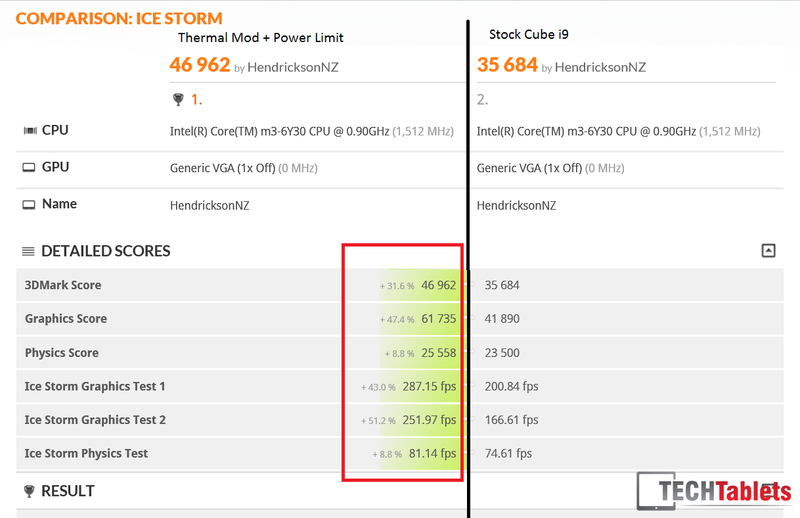 Also, when stres testing GPU in XTU the temps are exactly the same on stock power limits vs bumped power limits although maybe I’m incorrect in thinking that they should be any different. Sounds like the mod is at fault then. Just on centered in the middle is all you really need I think. Did the trick for me and my i9 flies (For a Core M3) Unless is do a v2 mod and I would only replace the whole factory heatsink with copper and use the largest thermal pad I could. 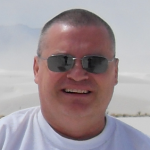 first of all thanks Chris for your efforts for the multiple reviews, tutorials and mod ideas. My cube i9 is on it’s way and I’m interested in doing this mod after a while. Can someone tell me the thickness of the metal plate which ia used for the stock design heat sink? As mentioned by Chris, I’m thinking of rebuilding it out of copper. Mines sealed up again, but I’m 99% sure it was 1mm thick. Thanks for the confirmation of the thickness. I just asked a friend of mine which is a roofer, and they have a lot of little piecea like this in their bin. So i can easily get one. He just asked me to cut it for me. So if one of you is doing the mod, please just measure the major outer dimensions of the used stock aluminum? plate and let us know here. It’s just to preper a few things in advance while I’m waiting until my cube arrives. Thanks. Rodrigo, this is a problem as the box doesn’t have specs listed like that on it. I’m sure it doesn’t. I’m currently out traveling but I don’t remember any specs listed on it. Could you also show us how to change the heat sink for the Teclast X16 Pro, since the Windows version of the X16 Pro gets too hot? Hi, it would be the same concept, never opened the X16 Pro I had so not sure, but find the soc and add a 15mm x 15mm or maybe even 20mm, 1mm thick copper shim to it and then you will have to size up what thickness of thermal pad to use on top of it to then give contact to the rear housing. Where do I find the 20mm x 20mm copper shims, I found 15mm x 15mm on banggood but for some reason they dont have 20mm. I also have some thermal pads, have you tried these before? And of curse you’ve heard of thermal pads, got to pay more attention. I used ebay to get them. I wonder, whether doing the same on i7 Stylus provides similar boost. 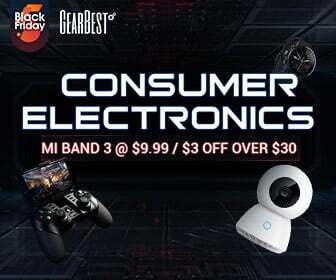 How much is battery life decreased? 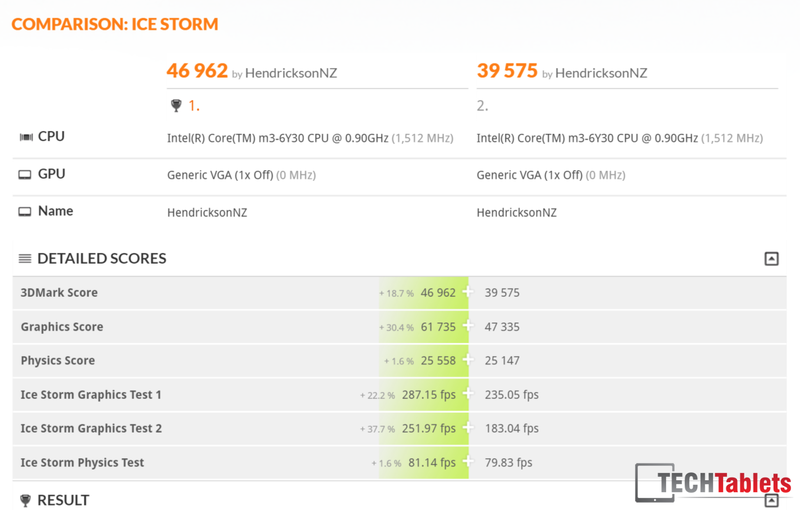 It would be awesome to see benchmark comparison between i7 and i9. I’ve got a Core M-5Y71 Dell V11Pro and tried to increase power limits, but it won’t increase beyond the default 6W. The i7/i7 Stylus models use a 5Y10, right? Is it any different for them? It can only be increased if the bios is unlocked. And Dell would have it locked for sure. Hi Chris, just wondered if we will ever see android (dual boot) on these core m tablets? Getting impossible to buy a decent android tablet from China (nothing available with an SoC better than the z8300) and this would be great if it were possible. There is the Onda V919 Core M 3G that has a 5Y19 in it, retina screen. But it had a few issues, not sure if we will see a Core M3 dual boot. Chris, Can you test installing one of the third party android os’s like remix? I ordered this tablet and would prefer an android environment. 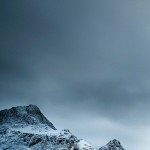 This is a superb article; thanks for your work getting this done and testing it. That’s a pretty stunning gain for a two dollar piece of copper and some paste. Did you notice any issues longer term with this, such as overly reduced battery life, or temperatures creeping back up towards throttling? Did the external housing heat up overmuch? Looking forward to the final conclusions on this tablet from yourselves – seems like the best bit of kit you can get right now.